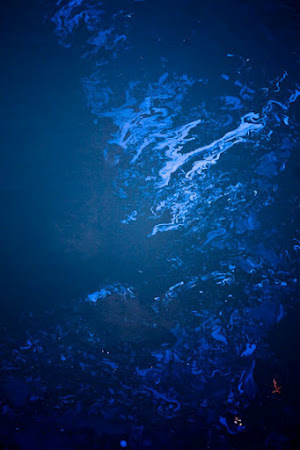 The following essay was published in the Spring 2012 issue of Overflow Magazine. The print version of the magazine featured an eight page spread of images by photographer Jose Gaytan. The murky waters of the Gowanus Canal are an unlikely lure for creativity. In spite of a century of pollution, a diagnosis of gonorrhea, and a history of spontaneous combustion, the canal has drawn artists to its banks for many decades. 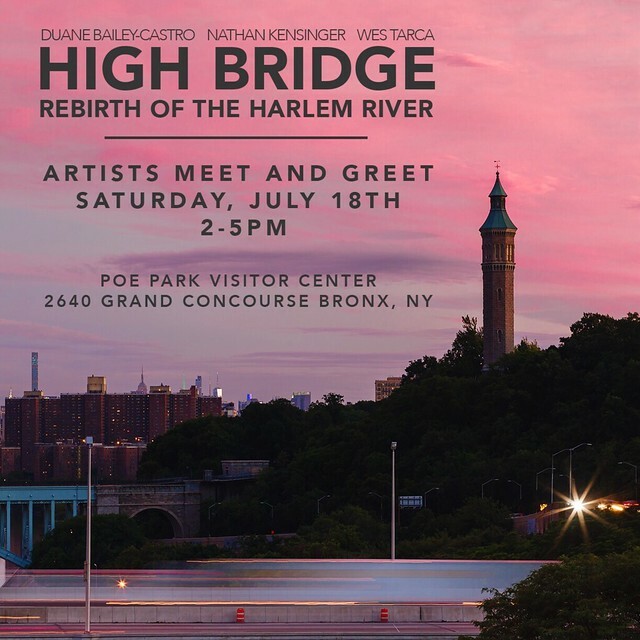 One of the foremost of these artists was Jose Gaytan, a photographer who lived just uphill from the waterway in a classic Park Slope brownstone. Gaytan photographed the canal nearly every day, until his recent death from cancer at age 61. When Gaytan first moved to the area in 2002 from Manhattan, he wasn't sure how to spell Gowanus. But he soon found the canal to be a source of inspiration that would change his life. 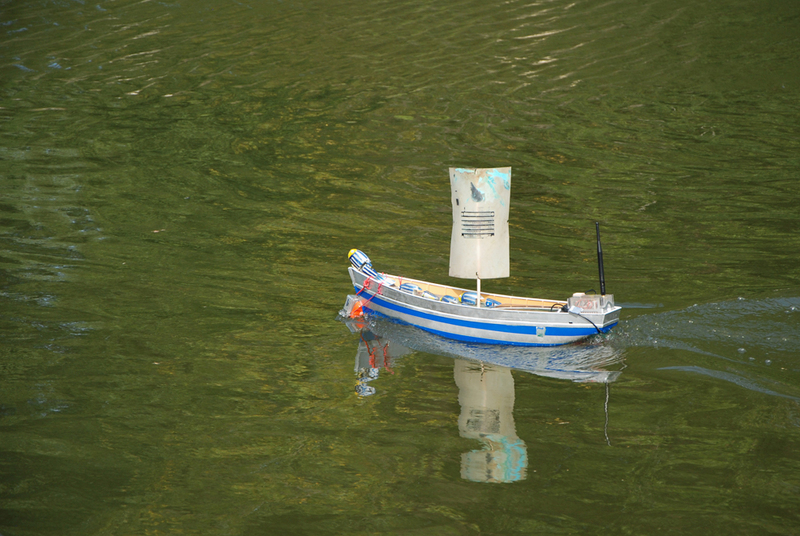 It started with his daily dog walks down to the water, and soon became a creative obsession. As Gaytan began bringing his camera to the canal, he discovered a rapidly changing landscape, and knew he needed to document it. Over the course of the past 10 years, a slew of new hotels and luxury condominiums have encroached on this historically industrial neighborhood, bringing crowds to new bars and venues on once quiet streets. Jose Gaytan saw these changes, but focused his lens on a different side of the canal, capturing the decaying industrial landscape. 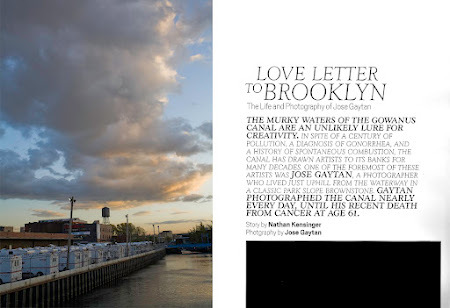 "Many have taken photos of the Gowanus Canal," said Katia Kelly, publisher of the Brooklyn blog Pardon Me For Asking. 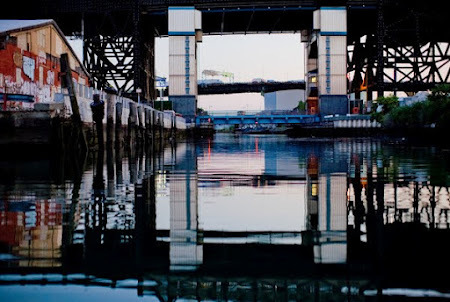 “But I could sense immediately that his relationship with this industrial waterfront area went deeper. 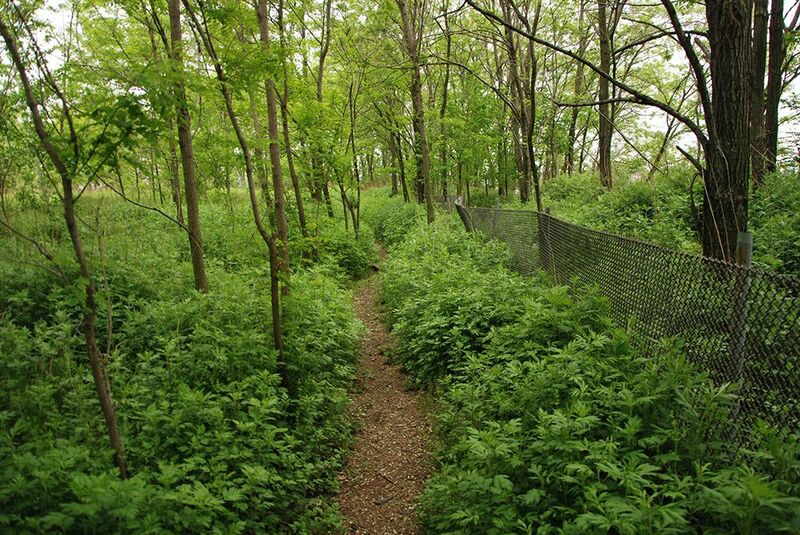 He seemed compelled to document every square inch of the area." 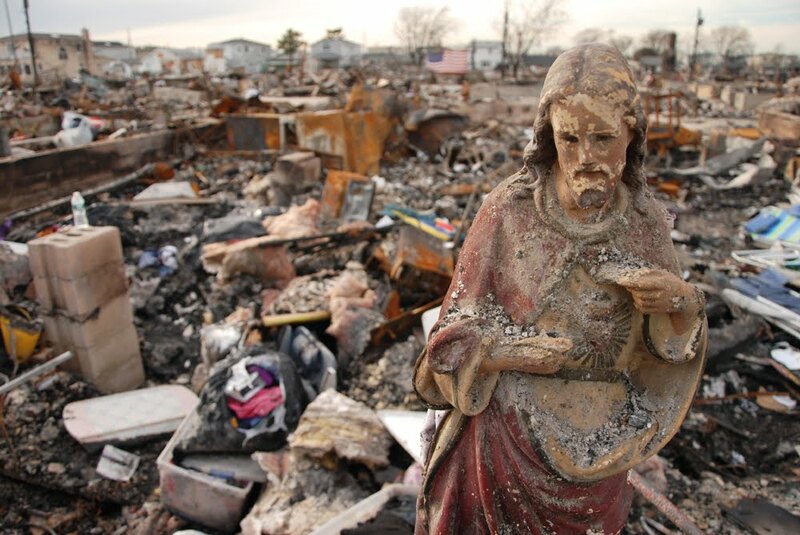 Photography meant everything to Jose Gaytan. It was his livelihood, his passion, and even the source of his marriage. He met his wife, Lisa Gaytan, while teaching a black & white photography class at the International Center of Photography. Their first dates were photo shoots, hauling equipment to the Brooklyn Bridge, waiting for the soft glow after sunset. Gaytan collected cameras of all kinds – from the newest digital equipment to antique film models – and was an expert in their use. He worked for years as a photography salesman and a freelance photographer. His personal photographic projects focused on the waterfront of New York City. He was "drawn to gritty landscapes," said Lisa Gaytan. 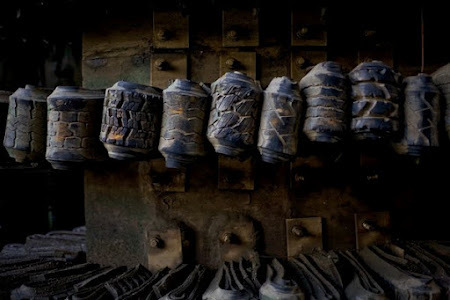 He photographed bridges under repair, the collapsed West Side Highway, and a series on Williamsburg, Brooklyn in the 1980's, "when there were wild dogs running up and down Kent Avenue," according to Lisa Gaytan. The allure of the Gowanus Canal, with its abandoned buildings, empty lots and crumbling infrastructure, was not hard to understand. Despite his many decades of photographic work, critical acclaim eluded Jose Gaytan until almost the end of his life. His first solo exhibit was at age 58, at the Brooklyn Public Library, with an overview of his Gowanus photographs titled Brooklyn in Transition: A Photographic Essay of the Gowanus. The exhibit "was his major breakout," said Lisa Gaytan, and "was such an important thing for him." He worked day and night to prepare for the show, shooting and printing an enormous catalog of images. 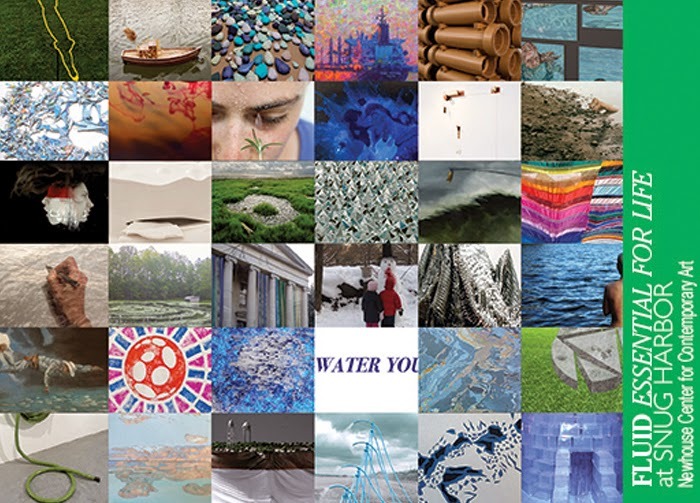 The exhibit opened June of 2009 and presented a collection of sublime Gowanus landscapes. Inky clouds, brilliant sunsets, crusty tires, beautiful decay. It was a unique take on a toxic waste site. 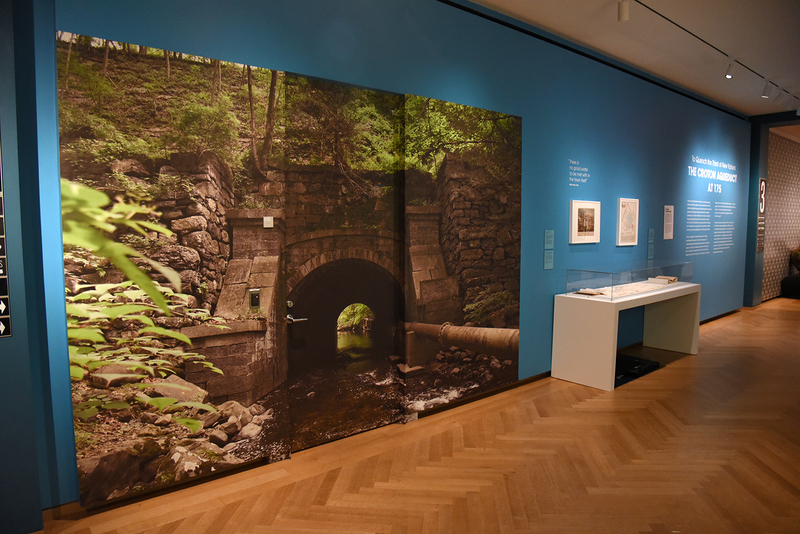 At the library, responses from visitors "ranged from a sense of wonder, to disbelief that this was the same Gowanus that most Brooklynites were familiar with," said Barbara Wing, Director of Exhibitions at the Brooklyn Public Library. The exhibit received a glowing review from the New York Times, which compared Gaytan's photographs to the Impressionist canvasses of Pierre-Auguste Renoir. “I loved that he was in this corner of the city - that is usually written off as some polluted hellhole - finding moments of serenity,” said David Gonzalez, an editor at the New York Times photojournalism blog Lens, who reviewed the exhibition. "His palette was sophisticated, betraying a master’s understanding of light and color. Jose was an underappreciated master." The exhibit and the NY Times review were “the culmination of everything he had worked for,” said Gaytan's friend Katia Kelly. "He was so excited." However, in just two years, an aggressive form of cancer, multiple myeloma, created a host of complications which would keep him from continuing his photographic work. “I think he knew that he didn't have any time left,” said Lisa Gaytan. Unable to go out and shoot on the Gowanus, he began scanning negatives late into the night, trying to organize his vast photography archive from the past 40 years. Last December, Gaytan died. Some of his final words, according to his close friend Angel Franco, a New York Times photographer, were: "I love photography." Gaytan was unable to finish organizing his archives before he died. Scattered around his office, on hard drives and in boxes of slides, there is a treasure trove of surprises from the Gowanus. They reveal a patient photographer, circling his subject, considering it from all angles. 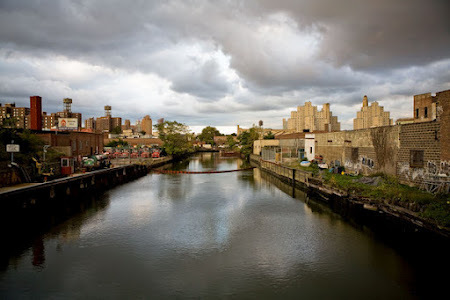 "Photographing the Gowanus was his love letter to Brooklyn," said Lisa Gaytan. "I’m very proud of what he did." This month marks the fifth anniversary of this website, which was started in March 2007. 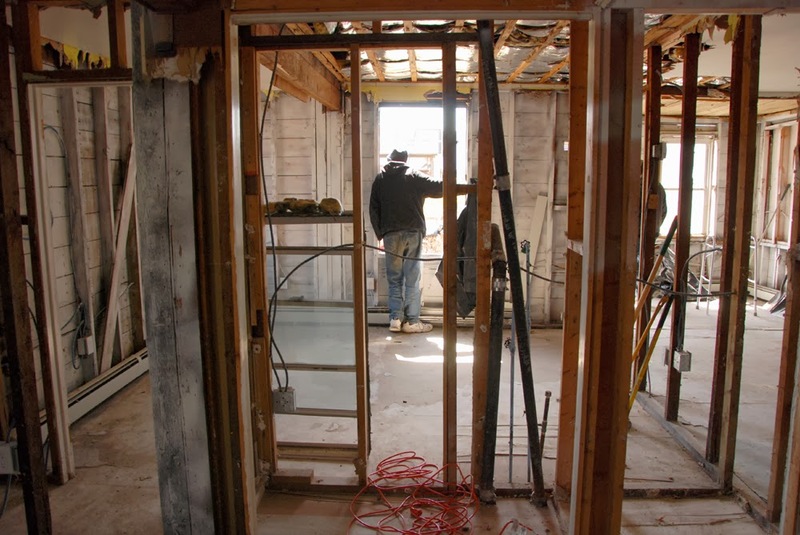 Over the past five years, New York City has undergone an enormous amount of change. The photo essays on this website have attempted to document some portion of that change. An archive of approximately 100 photo essays has been amassed here, documenting a city in the process of erasing its past, from the destruction of Brooklyn's historic industrial waterfront, to the use of eminent domain to condemn unique neighborhoods like Manhattanville and The Iron Triangle, to the demolition of New York's few remaining bungalow communities in New Dorp, Brighton Beach and the Rockaways. Over the past five years, thousands of historic older structures have disappeared from New York's landscape and have been replaced by new buildings, mainly in the form of luxury condominiums and chain stores. The thousands of photographs taken for this website have captured only a small amount of that transformation. These photographs and photo essays can be traced back to one photograph and one essay from Red Hook, Brooklyn, a neighborhood that is emblematic of the transformation of New York's landscape. 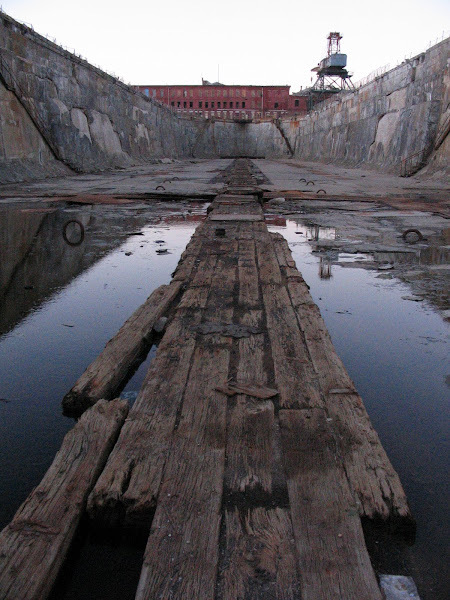 The photograph, titled "Inside The Drydock," was taken in 2006 inside the Todd Shipyard, a Red Hook ship repair facility that was built before the Civil War and destroyed in 2007 to make way for Ikea's first big box store in New York City. Soon after its demolition, an even larger portion of Red Hook's historic industrial waterfront was destroyed, as predicted in an essay written in 2006 titled "Beard Street, Red Hook, Brooklyn." This essay includes many of the motifs later explored on this website: the post-industrial waterfront, the legacy of Robert Moses, endangered historic neighborhoods, hidden landscapes, burnt out cars, packs of wild dogs. This photograph (included above) and this essay (included below) were both exhibited at the Brooklyn Public Library as part of their "My Brooklyn" exhibition series. 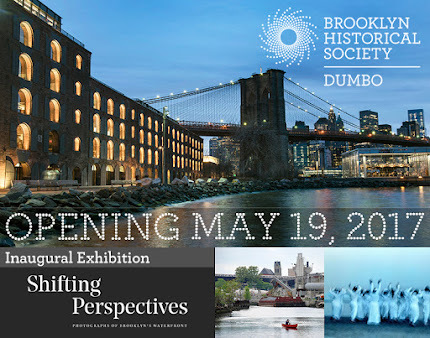 The dialogue that they created about the changing Brooklyn waterfront inspired the creation of this website, as well as a solo show at the library in 2008 titled "Twilight on the Waterfront: Brooklyn's Vanishing Industrial Heritage." Much of Brooklyn's historic industrial waterfront has since been erased from the landscape, along with countless other New York neighborhoods and landmarks, demolished to make way for new development. As the evolution of the city continues, the archive of photo essays continues to grow. One day at sunset I slipped into an abandoned building in Red Hook, disturbing no one but a family of pigeons. 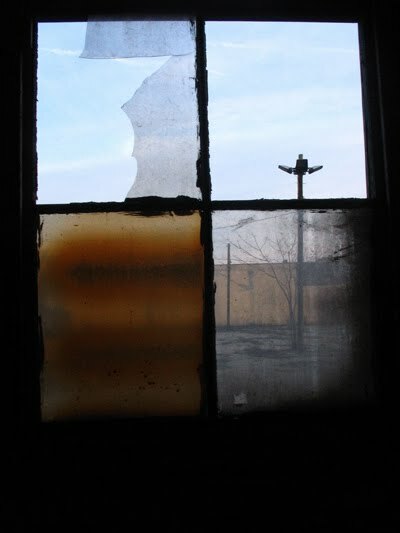 As I watched the light fade through the four panes of an old factory window, I looked out onto an empty lot and up along Beard Street, my favorite street in Brooklyn. The quiet of the street, the emptiness of the factory and the dying light brought me to ruminate on the nature of change in Brooklyn. When I walk these few blocks along the southern edge of Red Hook I often think of the history that has preceded me. Sixty years ago, the view from this factory window would have been entirely different. Stevedores and boat builders, dockhands and dry dock workers, saloons overflowing with noon time workers out for a nickel beer and free lunch. From stories told to me by the few remaining old timers still in the neighborhood, I feel connected to a Red Hook that was a lively place to grow up, a working waterfront, full of tight knit families, kids in the streets, with shops and restaurants on every corner. For decades Red Hook has been an isolated outpost of Brooklyn’s waterfront, cut off by Robert Moses and his BQE, without a proper subway station. The community changed from its industrial waterfront days, its core replaced by massive housing projects and their new way of life. Along the edges, a few artists found perches in converted factories and warehouses. This is the Red Hook I have seen, a fascinating mix of decrepit old Brooklyn, newly emerging artists and housing project families. Beard Street, only a few blocks long, is paved in rough cobblestones so uneven that the constant flow of heavy orange school buses bounce almost out of control. Beard Street can feel like the edge of the world, a series of empty lots and buildings waiting for something to come along. But beneath the surface solitude, there is a secret vibrancy to the street. Anything can happen here. Along Beard Street I have been confronted by a pack of wild dogs and met the Queen of Rockabilly. Every week a new wave of street art and stencils cover the walls of the civil-war era shipping warehouses, delicate depictions of moths and birds flying from red brick confines; solitary life-size paper figures trudging along wooden walls. Anything might appear on the street - one day a smoldering burnt out car arrives, destroyed for some sordid purpose, soon vanishing. Another day a pink toilet sits in the snow near hundreds of losing lottery tickets. Further along the street, an abandoned sugar refinery is slowly falling into gray water. Nearby the sunken mast of an old boat protrudes from the swells. Some of the old buildings are filled with massive graffiti pieces, illuminated by raw light streaming through window frames without glass. Other buildings, like those on the Beard Street Pier are filled with artists, glassblowers. At night a nondescript metal shutter raises to reveal Lillie’s Bar - the last business on the street - and the cobblestones bark with drunken footsteps. This is the only street in Brooklyn I am compelled to visit again and again. I have walked along these ragged sidewalks countless times. I have taken hundreds of photographs here. There is a rare visual poetry to absorb. In a few years the view from an abandoned factory onto this street will be completely different, if a window even continues to exist. All things must change in a city and Beard Street is no exception. A sea of parking lots, a new big-box store and crowds of shoppers are scheduled to soon replace the old factories and warehouses. Already buildings are being sold and torn down. Much as I would like the isolation and the element of urban surprise to remain, this will no longer be. Will the cobblestones remain? I find the dynamic between history, present-day and future in Brooklyn especially captivating. A view of Beard Street speaks to me of one kind of neighborhood fading into the past as a new one develops a future. 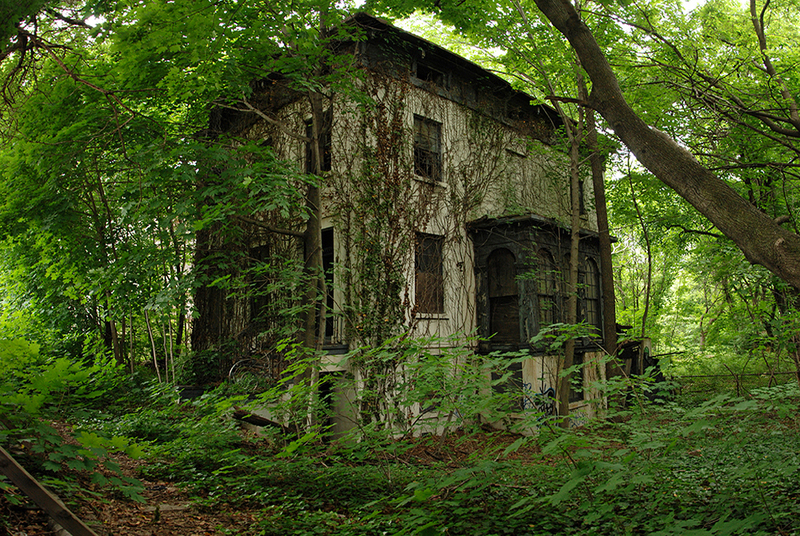 It compels me to seek out those in-between places yet to be rebuilt that have a secret life to spark the imagination.